I am here to help you put your best face forward! There is nothing more satisfying when your skincare routine is on point. When my skin is looking radiant, smooth, and healthy, I feel happy all over! My #1 tip to having beautiful skin is staying hydrated, then 2nd is using sunscreen all of the time. However, it doesn’t hurt to have a few skincare products to give your skin cells a boost as well as your daily routine! 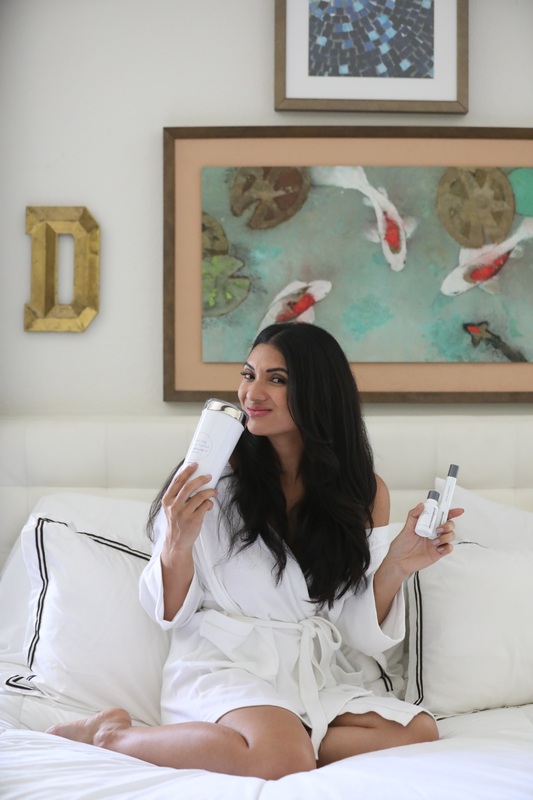 Read on as I share with you my favorite skincare products that will revitalize your skin and give it that glow, baby! Dermalogica’s Phyto Replenish Oil creates a dewy look to my skin that I love! The oil has a feather-light feel so don’t worry about the heaviness of what some oils can do to skin. Your skin will absorb this oil to reinforce your skin’s protective barrier. If you are looking for a good skin primer, look no further than Demalogica’s Hydrablur Primer. It mattifies your skin and reduces the appearance of fine lines and wrinkles. Our family has done a fair share of traveling this summer and we still have even more exciting trips scheduled this year. Even on the go (gym, spa, weekend getaways) or long trips…having my favorite skincare products is a must. Check out the following Dermalogica favorites that come in tiny sizes perfect for portable fun! If you have adult acne don’t despair! Dermalogica has effective acne busting products that work! I typically have clear skin, thanks mama for the good skin genes. However, when Aunt Flo comes it is a different story! Breakouts around the month are a bummer but since using Dermalogica’s Breakout Clearing Booster and their Fizz Mask (perfect for blackhead clearing) my skin is looking bright and happy! 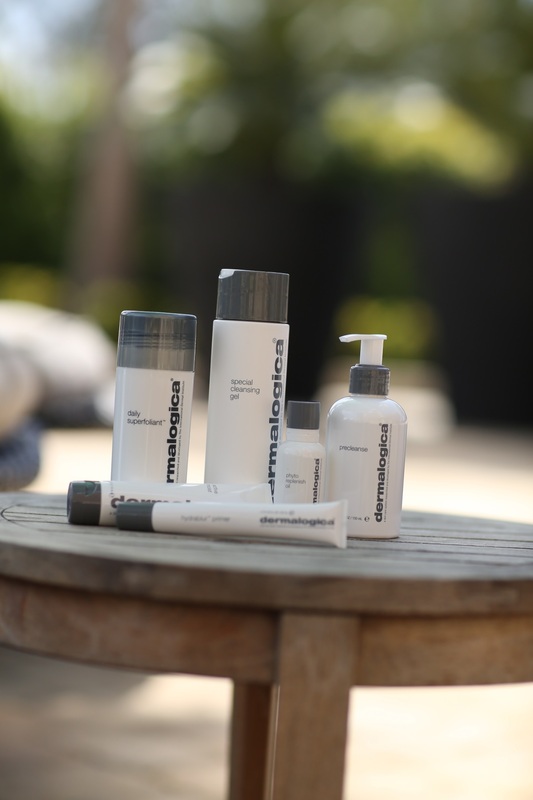 Check out Dermalogica’s full line of acne and breakout products below. Let’s be real! Who doesn’t want voluminous lips? I will be the first to raise my hand and say yes! PMD Kiss Lip Plumping System works. The combination of their pulsating vacuum technology and lip serum used on a daily basis will create lips that are naturally fuller and plump. The results are instant and last all night. I love to use it right before a date night with hubs! Living in Orange County I need a sunscreen that really works! I am out in the sun all of the time. Mind you, I take precautions to cover my eyes and wear a hat most of the time…I still need a sunscreen that is effective and long lasting! COOLA Suncare White Tea Sport Face Moisturizer SPF 50 is perfection! It is lightweight moisturizer that lasts for 80 minutes and is water-resistant. Check out other Coola Suncare products that are perfect for year-round use below. My skin feels its absolute cleanest with Dermalogica’s PreCleanse Balm. I love using it to remove makeup from those days I have a lot of it on my face and after a heavy and sweaty workout. It is a deep-cleansing balm that transforms from balm-to-oil. It comes with a cleaning mitt that really helps in removing impurities from your skin. For daily use, Dermalogica’s Special Cleansing Oil works wonders. It is a gentle foaming cleanser that removes makeup and pollutants without disturbing your skin’s natural moisture balance. 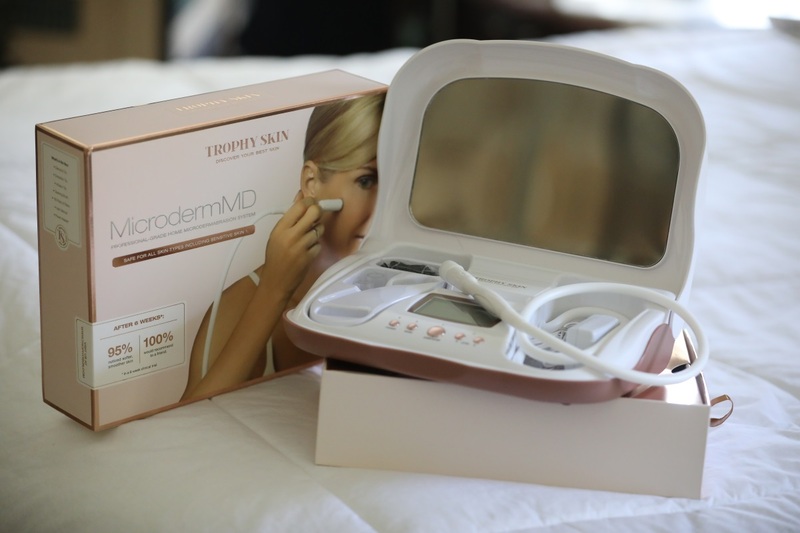 PMD Personal Microderm Pro Device allows me to have my person microdermabrasion beauty sessions from home. Your skin wrinkles any sun damage will improve. My skin smoothness has changed dramatically from its patented spinning disc and perfectly calibrated vacuum suction. Since using it, my makeup glides on smoother too! And, my enlarged pores are minimized. I am so thrilled! 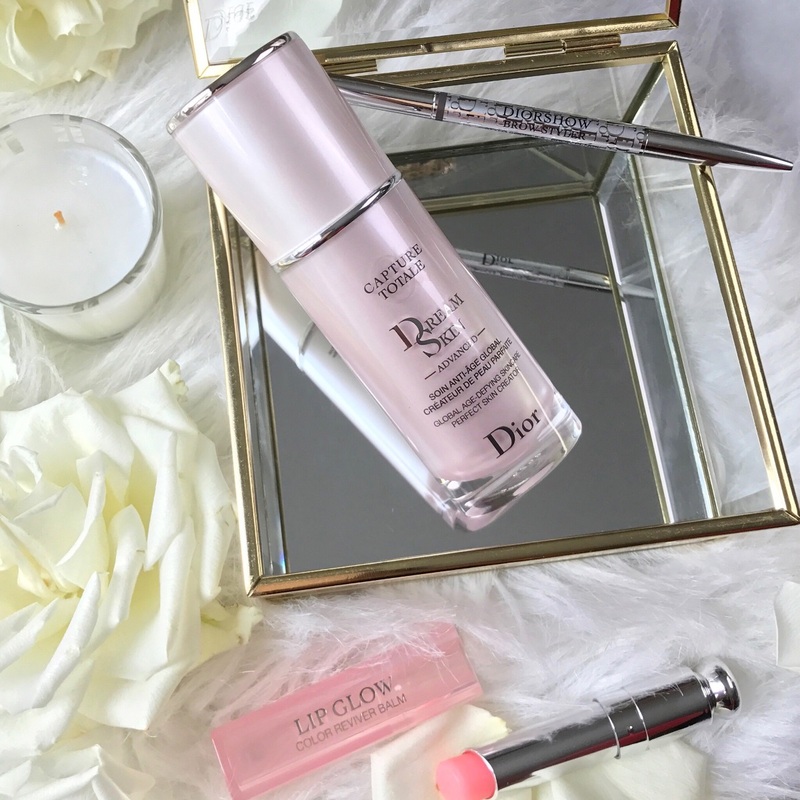 Dior Capture Total DreamSkin Advanced Perfect Skin Creator is a dream come true for my skin! Have you guys used this before? I apply it after my moisturizer to color correct my skin. It also reduces any redness and dullness. It also boosts my radiance and helps to improve any wrinkles, pores, and spots. My skin just looks so luminous with daily use of this beauty cream. 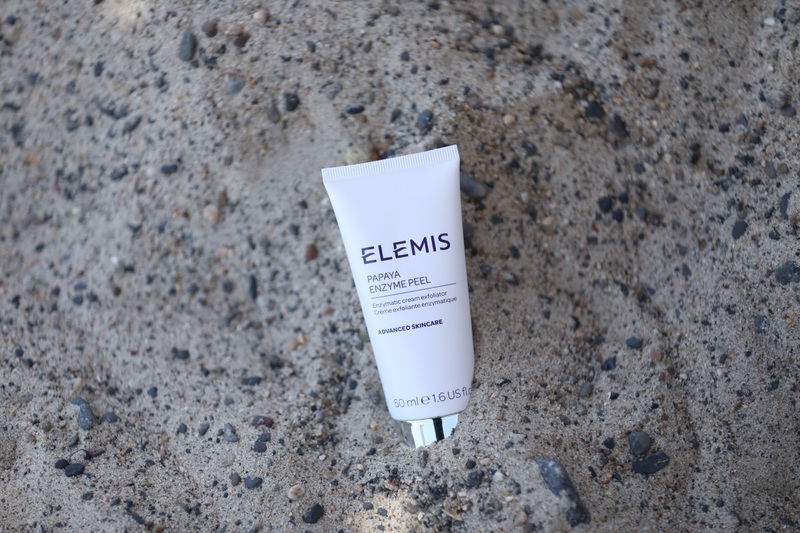 Elemis Papaya Enzyme Peel is a wonderful exfoliator! My skin can look pretty tired and dull. I look forward to the weekends to exfoliate my skin and I reach for my Elemis bottle all of the time. It is non-abrasive and gentle on my skin. My skin feels oh, so soft and looks radiant! Elemis has a great line of skin care beauty products that is a favorite for many. You should definitely check them out! 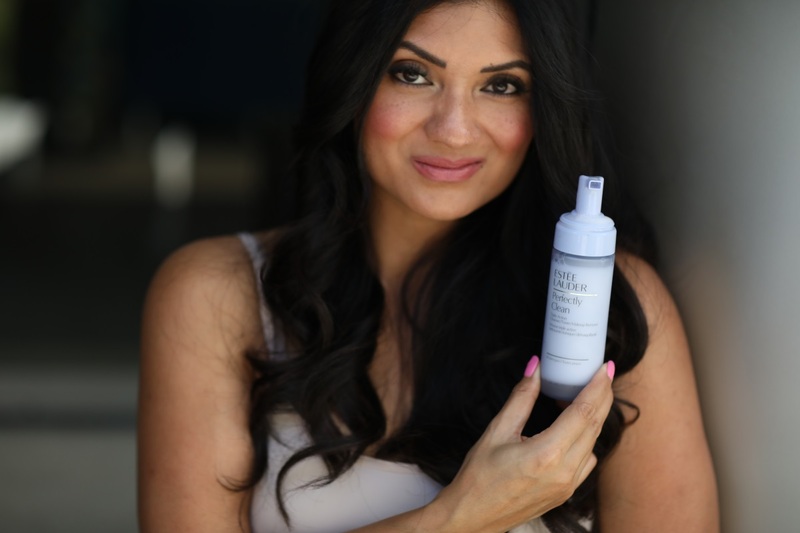 This cleanser from Estee Lauder is AMAZING! Estee Lauder Perfectly Clean is a triple-action skincare product. It cleanses your skin, removes your makeup and tones your skin all at the same time. This airy foamy cleanser starts working immediately. It gently cleanses your skin without no oily residue. It is perfect for all skin types. My mother introduced me to Estee Lauder as a teen and here are a few of their other skincare products I enjoy using as well, see below. The Foreo LUNDA mini Compact Facial Cleansing Device has really revolutionized skincare! This facial cleansing device is so effective and easy to use. The T-Sonic pulsations with a soft silicone brush cleanse your face well without irritating it. It is bacteria resistant and the once fully charged will last up to 5 months or 300 uses. Isn’t that amazing!?! My dead skin cells are removed and my clogged pores are clean and small. Lancome Bienfait UV SPF 50+ Super Fluid Facial Sunscreen is another favorite sunscreen of mine. Lancome is another beauty brand that my mom introduced me to as a teen. I love everything this beauty brand creates! This high-performing sunscreen shields you from the sun’s harmful rays (UVA and UVB). It is fast-absorbing and oil-free. You can wear this alone or under your makeup. It is perfect for all skin types. Take a look at other Lancome skincare products that are beloved by many. I have been using Clarisonic ‘Mia 2’ Sonic Skin Cleansing System for the longest time. With its sonic technology, my skin is left looking and feeling smoother! From regular use, irregular skin patches are reduced as well as oily areas. Did you know that the Clarisonic systems remove six times more makeup than with manual cleansing? I love that it comes with a variety of different heads that you can switch out to target different problem areas and skincare needs. Get professional results at home with Trophy Skin! I love their MicrodermMD which allows me to pamper my skin from the comfort of my own home. You can save hundreds and even thousands of dollars by this professional skincare system for home use. It is so relaxing and enjoyable to use my MicrodermMD. My skin looks more youthful and radiant. It gently buffs away fine lines and wrinkles. I love it most because it improves my skin tone and texture. They also have a sensitive skin mode for those with touchy skin. This is a brilliant skincare device! What are your favorite skincare products? Did you find a new skincare product in my post you are interested in trying Please, make sure to scroll down and enter a fabulous giveaway I am hosting with some of my amazing blogger friends! Good luck! One lucky person will win a tropical getaway to enjoy some fun in the sun! 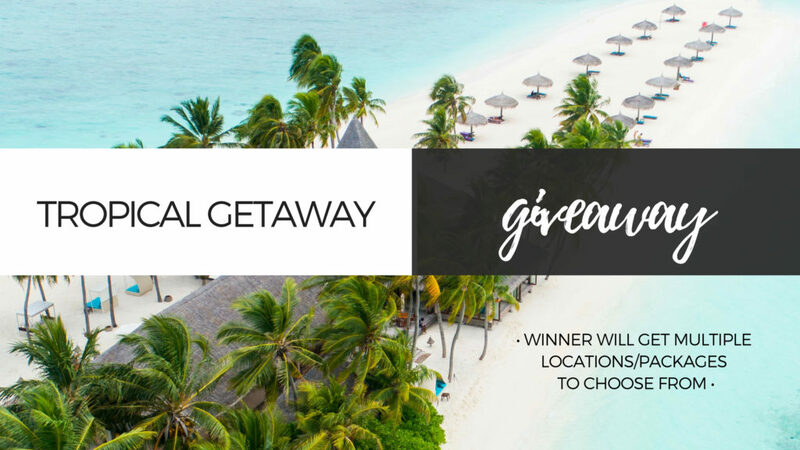 The winner will get to choose from among 3-5 different vacation packages, so they can select the trip that most perfectly fits their travel goals. Some currently available packages include Malta, Mexico, Thailand, Costa Rica and more (options may change and will be subject to availability at the close of the contest, most options include approximately 4-6 nights at a 4 or 5-star hotel and flight options from the U.S.). Giveaway runs from August 6, 2018, to August 20, 2018 (concludes at 11:59 PM on the last day). Open internationally (please note flight options are typically out of specific cities in the U.S.-if you are international & can’t fly out of the U.S. then we can offer packages that include higher value hotel only packages without flight). Void where prohibited. By entering you are agreeing that you are performing the actions in the Rafflecopter that you have marked as done. By entering you acknowledge that you are agreeing to the newsletter subscriptions, are over 18 years old and all other terms & conditions of the giveaway. More giveaway details can be read in the terms & conditions here. Winner will be announced within 14 days of the conclusion of the giveaway and entries will be verified by the hosts. Thanks for participating, I can’t wait for you to check out these amazing bloggers! These all sound wonderful! I’d love to try that skin oil. It’s so important to care for your skin WELL. I have always heard great things about Dermalogica products. I have been meaning to try out a couple so I think I will order some this weekend. Taking care of your skin is so important. Never heard of this brand so definitely looking into it! Looks like a great skin care brand! What an awesome giveaway too! Who wouldn’t want to go to any of these destinations? That is my kind of giveaway! These sound like some great skin care products! This is really helpful! I may have to try the Estee Lauder cleanser. My daughter might be interested as well. I love the thermal water! I have been using it for years and it’s a staple for me. I’ve heard so many good things about Dermalogica. I need to get some to try. I love when I have an abundance of high-end skincare at my fingertips. Taking care of our face is so important to stay youthful and pretty! 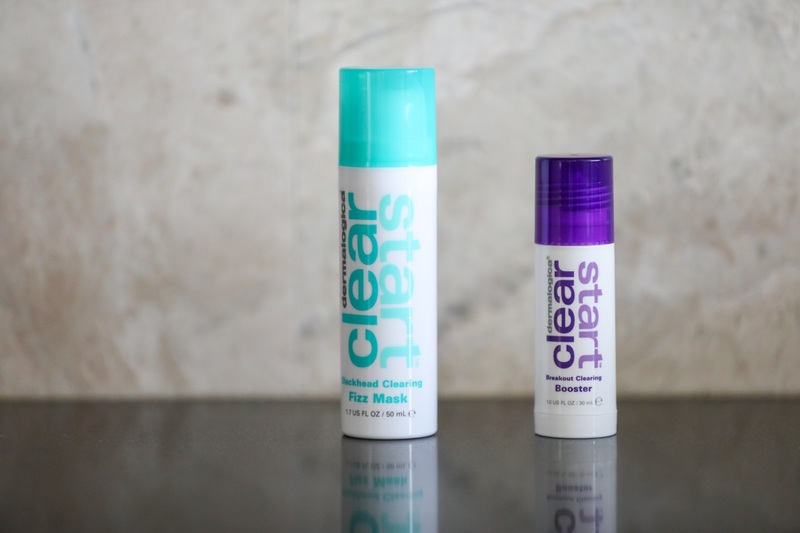 I like the sound of the Clear Start products! I break out sometimes and need serious help – those look so fresh and fun! The sunscreen would be perfect for the whole family. And, oh my gosh…I think I personally need it all! I think I’ll have to add some of these to my wish list and give it to my husband. Yep, breakouts at that time of the month do happen. It’s annoying, but you seem to have a handle on it with the face scrubber. I think it’s a Luna that my daughter said she wanted. I have been considering getting one of those Forea scrubbers/cleansers. It looks like it would be great for my skin. These sound like some awesome products – I ave been debating the Dermologica products lately. And What an amazing giveaway! looks like some awesome prodcuts. i’m going to have to check this out more as i’m looking for some new skin care routine that fits my needs better. Obviously not products designed for men. Wonder if any of them have a men’s line?! These sound like great products. I heard a lot about the COOLA suncare, I definitely need to try it out. These look like some amazing products. I’d love to try any of these out. What an awesome giveaway too! These are great suggestions! Woud love to give some of these a try! I love enzyme peels. I am going to have to try this one out. My other one ran out. I have to get a new Clarisonic. My old one “retired” a week ago. It does help with keeping my skin clean and free of the daily pollutants that find their may into my facial skin. The Microderm MD looks interesting too. I will have to check that out. looks like a great product would love to try!